Really loved this piece! Describes the way true friends and soulmates feel. You might like my post “Our Crossroad In Time”. I hope you will find my words worthy of your precious time!! Great post! Of course, a writer is it’s own poet, we just have different ways to express them. these kind of people understands the dustiest corners or our soul.. Thank you and I sure will do. They sure are so that’s why when you do find them, they are for keeps. Thank you for stopping by Shiva. To have and to keep in good company with such people is also a blessing. I only wish to have such ones around me. I wish you too the same. Of course and one should as it keeps your positivity on a high. Delightful post. The internet has opened up the world for humanity. It is a venue that allows us to share our thoughts and words for all to read. By doing that we meet others that become a part of our lives. We build a community and share with each other building friendships that can last a lifetime. “Though I may never see your face, I relish in the beauty of your soul”. Thank you ever so much, so happy to know you found it as such. Oh definitely and I agree with you, and I love the way you have put this, we may never see each other in reality however ‘I relish in the beauty of your soul’. Beautiful words and very kind too, likewise dear, I admire your story writing skills, you’re so good at it. Very happy to have connected with you. Aaww thank you ever so much. Always a pleasure to read your stories, you should certainly consider publishing them. it is indeed a special feeling when you find such person. 🙂 a lovely write. Thank you very much Rosema, always wonderful to hear from you. Aaww why not Di, I love connecting with fellow bloggers and appreciating them taking their time to read and comment. Thank you to you too, humbled by your kind comments. Thank you Di, you’re such a sweetheart. Glad I did find you dear. It sure is but sometimes it can be misunderstandings and sometimes it is so someone better can walk in our lives. Wonderfully said Carolyn, indeed it is the case, and when you do meet them you can pick up from where you left off, regardless of not seeing each other for a while. Isn’t it special when you meet someone like that. Someone you feel as though you’ve known forever. It happened to me recently. It is indeed, and when you do they are always for keeps. They are hard to come by as well. You can’t force it either. Very true, if they are the right person then force won’t be needed, they will want to spend time with you as much as you do. Aaww that’s lovely to hear. It truly is the case. Aaww thank you ever so much, I appreciate it, very sweet of you. Thank you ever so much dear. Thank you Smita, I’m glad you could relate, it’s always a lovely and a beautiful thing when you know how it feels to taste the words I real life. It’s a rare gift to have too as many still haven’t been able to find their soulmates or seem to look in the obvious places. It’s the simple things that matter, happiness and caring for each other. Lovely to hear you have your family and cousins. You are always most welcome. It is always a pleasure to have a talk with you. Sometimes keeping out those who cause trouble even on social sites is healthier for you and those who you wish to keep close. There’s many out there who will be jealous and will not leave a stone unturned to make you feel bad, sad, break you apart, because this gives them satisfaction. Try to avoid adding them on social sites as you want to enjoy your Facebook posts without the drama. I dared to share my experience on your blog Sobia. Hope I am not causing you any troubles. Some common troubles on social sites as the nuisance creators known or unknown are never expected. They are always unexpected. Oh not at all Smita, very brace of you to do so in the first place. Not every one can open up so confidently, as well as letting it out is always a positive to be able to breath and feel lighter than to hoard it inside which would pain you even more carrying the burden. Thank you dear. A pleasure to have you here. Very true, very few people for me…I have to keep them close by. That’s another thing. I’m surrounded by idiots. Oh, whoa is me. Sometimes moving away from those who surround us and exploring away from the norm may lead to adventures and even meeting people. 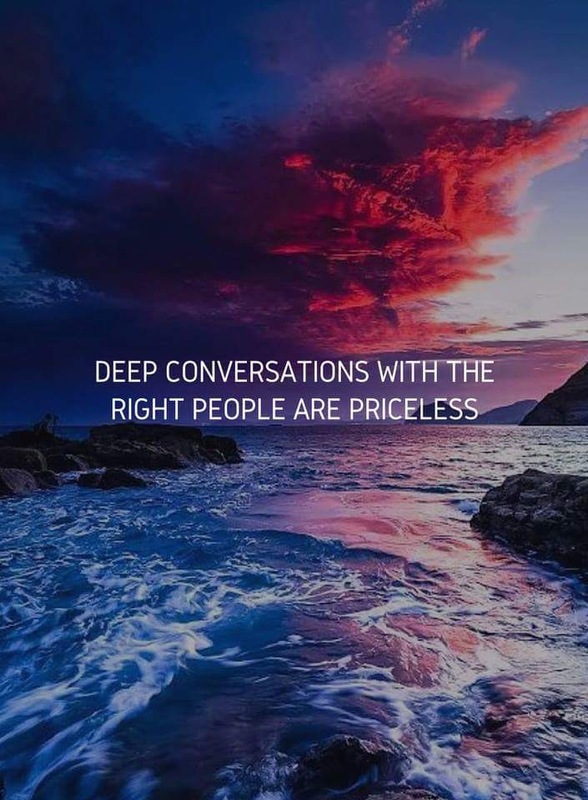 They are priceless. I love this. It’s beautiful. Thank you Kath, I’m glad you do and thank you for your lovely words, as always, a pleasure to have crossed paths with you. You’re welcome. Thank you. It’s been a joy to read your posts and interact with you as well. not everyone you can find this kind of connection.. Thank you, yes it’s rare to find friends like that and when you do, it’s worth holding on then letting go. I can relate to it. There’s a crowd everywhere. A noise of societal attitudes which is foreign to you. But what each of us wants is to be understood and accepted without any explanations, that helps them be who they are unapologetically. Thank you ever so much, I truly appreciate your kind words of feedback. I sure will do. Thank you. That’s very kind of you and yes read Lardy arms too. Thank you for the opportunity, I enjoyed the reads. Hmm so true and thoughtful words that really make us feel that such people are there in our lives and it is so nice to keep them. Great pic. Yes it is, it makes life more beautiful for you have someone who can share and relate to you. Thank you, very much so, sometimes it’s these encounters which encourage you to explore further. Aaww thank you ever so much, so sweet of you. Recognizing them slowly and learning to trust again. Yes that be tough when you experience hurt, however let that allow you to grow as a person and don’t hold it against yourself. I hope you find someone who is just as you want them to be. I already found my Twin Flame and I don’t want her to be anyone but herself. I meant, recognizing soul mates. Soul mates are not just romantic or intimate partners. Soul mates are people who help with the growth of your soul. Yes indeed, when I wrote this piece I had a very good friend in mind, we are very good friends and even if we don’t get to see one another weekly it doesn’t matter as we know we are there for one another. Most times, I cant tell if my long distance friend is really my friend. If they are there for you when times are hard then know they’re are a friend to keep, however if they aren’t there and walk away like the rest then you will know the answer.